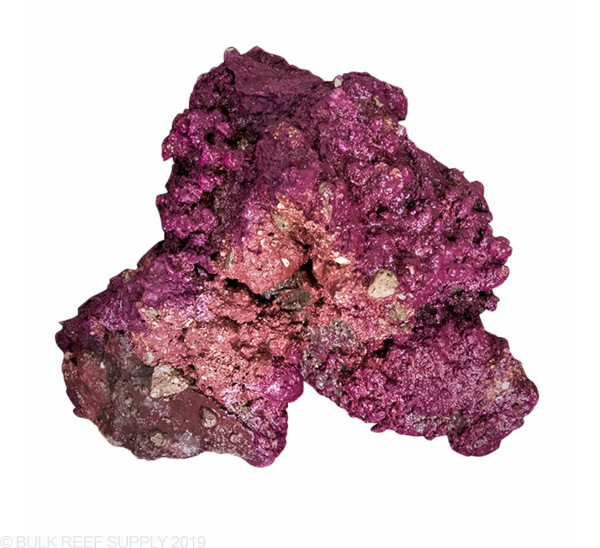 ReefRock 2.1 is a dry rock that should be cured before use. 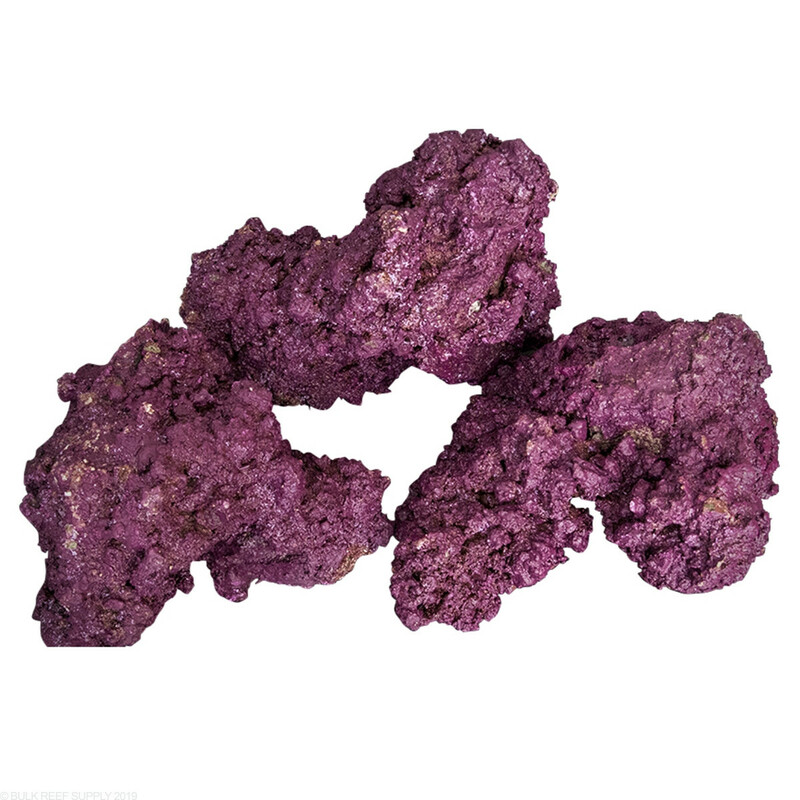 We recommend 1 pound of rock per 1 gallon of display tank volume for the average aquascape. 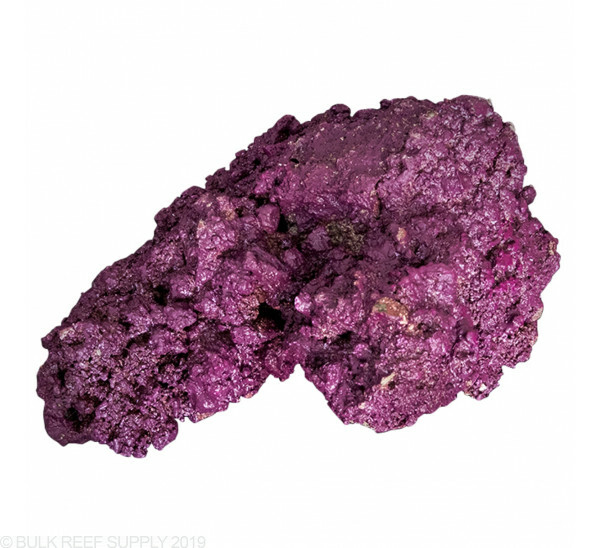 Depending on the tank you may like more rock or less rock, however, we would always recommend ordering a few more pounds of rock than you may need, as any extra rock can always go into your sump for added filtration. 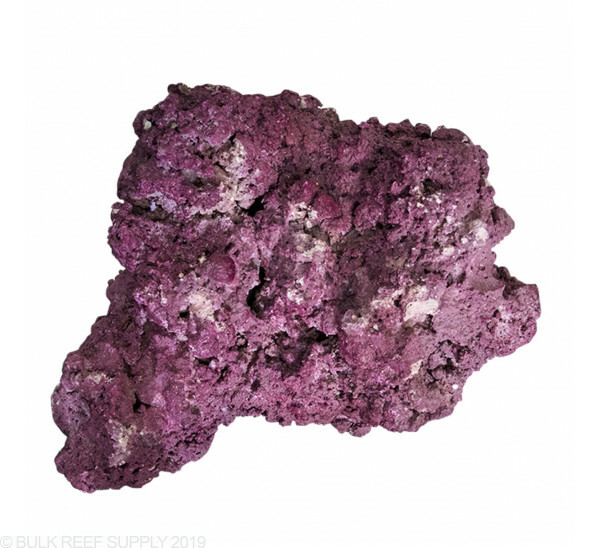 REEF ROCK 2.1 is the dry version of the live rock that is ready out on the market today. Walt Smith has noticed that the popular designs and other products are being sold as a decorative rock even though it is not quite live yet. 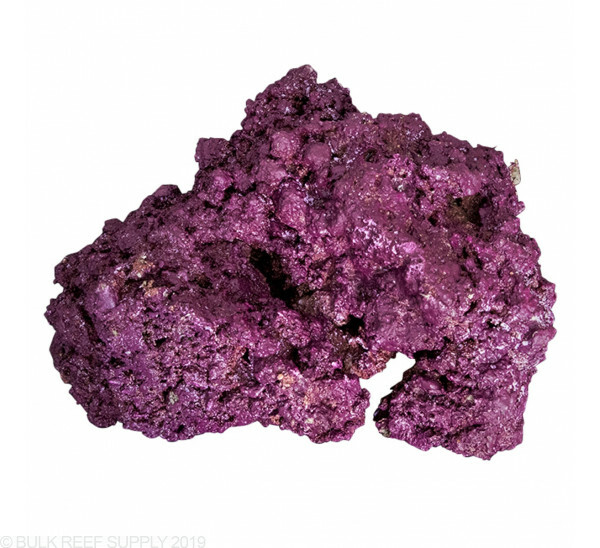 When mixing this rock with a few pieces of established live rock your tank will get the benefit of both worlds. 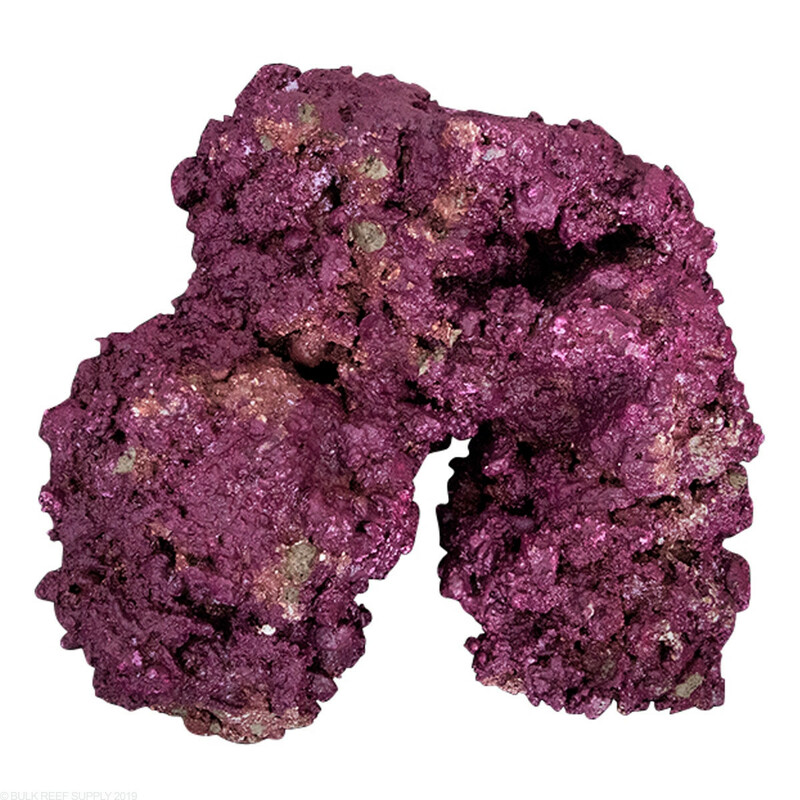 It’s possible, given the current trend, that this type of rock could dominate the market in the next few years. If so, Walt Smith is ready! With rock that is already covered in what looks to be coralline algae, it will allow a new tank to look seasoned in just a few weeks. Here at BRS we have set up a couple tanks with Walt Smith's new Reef Rock 2.1, and have really enjoyed the look that it gives, as well as the unique shapes of the rocks, and porous internal structure. 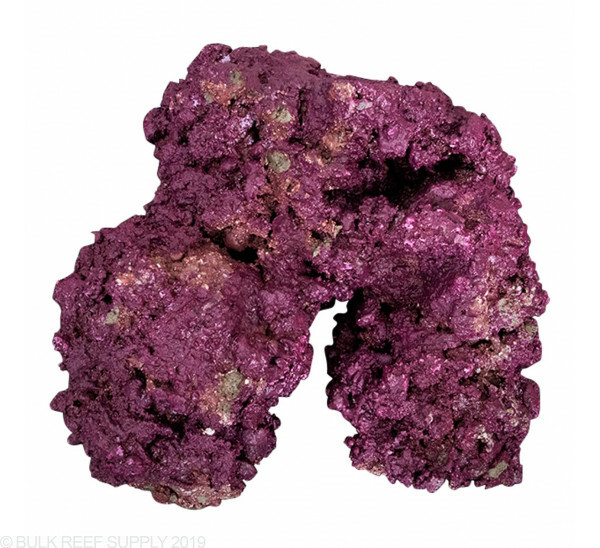 We have found that over time with herbivorous fish and invertebrates that pick at rocks that they may pick through the purple coating on the rock, however over time live coralline algae will cover those areas. When you think about it, this rock actually becomes better than the wild choice and brings a truly sustainable solution to our hobby. 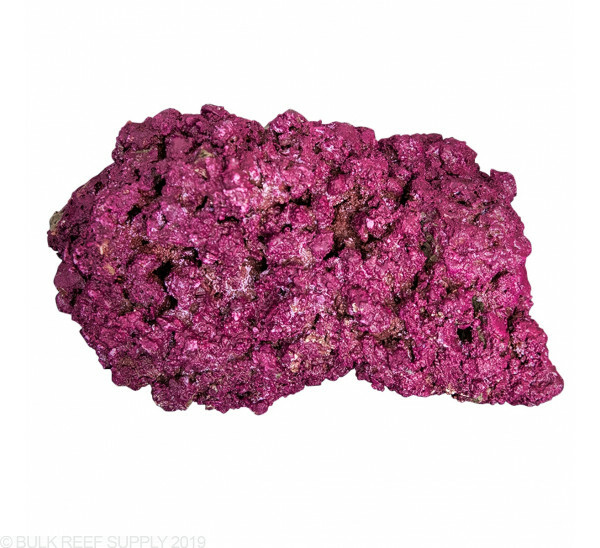 Reef Rock 2.1 is manufactured by mixing reef substrate, that is a mixture of sand, coral pieces, shells and more, with a cement mixture allowing natural textures and shapes to be created. 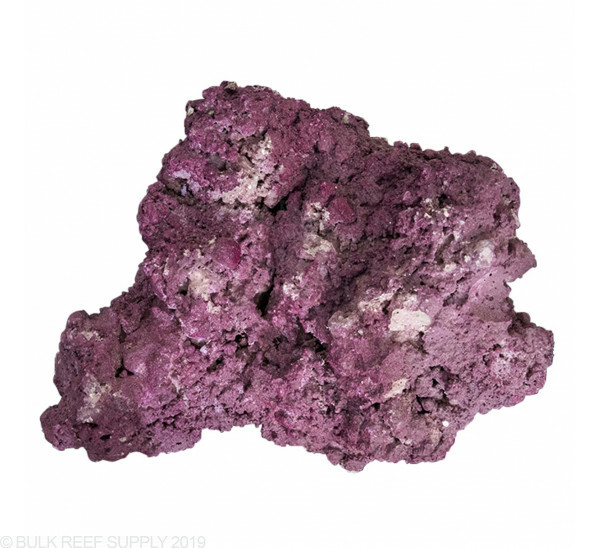 The reef substrate mixture allows the rock to have a porous network within the rock giving it many of the natural characteristics of rock straight out of the ocean. 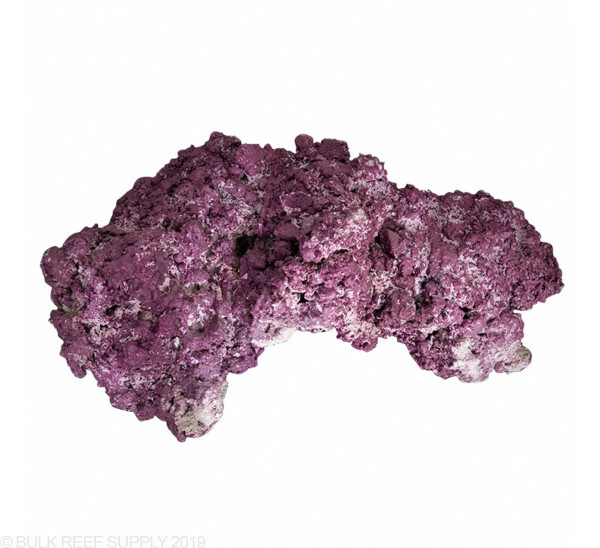 After the rock is handmade it is then cured for 6 or more weeks allowing the cement and reef substrate mixture to fully harden and neutralize before it has a thick coating of purple, reef safe, paint applied around the entire exterior of each rock. 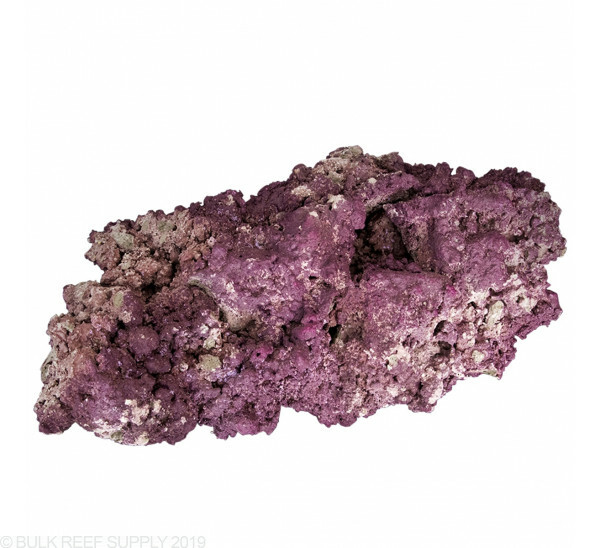 As with all of the ReefRock products the rocks colors will vary from Coraline pink to deep purple. With each rock being handmade, a variety of rock will be in every box. We are unable to guarantee any specific sizes or shapes. The UPS automation is not always gentle on heavy products like this and they do not consider this product insurable. Because of this, there is some inherent risk with shipping rock like this across the country and it is impossible to replace or refund broken pieces. If this happens most pieces can be repaired with epoxy. I don't know what it's leaching, but something is making corals just shrivel up and die, and it's not the water parameters. Even the Phosphate isn't high. I don't know what is is,....but this rock has no holes at all,.....and the paint they put on it is coming off all over the place,....it's ugly and it's messing up my tank. I asked Walt Smith what the actual ingredients are, but I get no reply. I wonder why? These rocks are amazing! Great for people just starting their tanks. Usually, new rock is extremely white and an eye sore in new tanks. The purple color looks great right from the beginning. I have had these rocks for three years now and very minimal to no flakes, don't know what people are talking about. Best part is that since they are basically concrete, there is no nitrate/phosphate leakage!!! That means that cycling is super quick and you don't have to worry about algae blooms from this rock. Not very porous but I would rather have this rock and some marine ceramic blocks for more bacterial surface area. Highly recommended! Possibly not as porous as some of the other rock but I keep some other types of rock in the sump so that doesn't affect me. As for the flaking I didn't see any... Leaching either... have no issues at all with this rock. Actually really love the variety I received. Only complaint would be price but I knew that when I bought it. I AM Very disappointed with my order of the Walt Smith Rock . Decided to risk ordering it based on the poor reviews and boy were they right. The Paint completely covers the rock and ruins any hope of porousity and biological performance . The coloring on the rock does not match and the PAINT they used chips off very easy. My PH and phosphates are way too high for just setting up a new tank. Many rocks were broken due to the poor packaging. I regret not just ordering another type of rock.. The last few positive reviews are very misleading as they gave me some hope for ordering. But they look and sound as though they were written by the company as well to try and cover up all negative reviews that's all over the Internet about the problems with this rock. Buyers BEWARE! I love the Walt smith reef rock 2.0 ,when I opened the box I loved the color it looks so natural and all the different sizes and shapes really made my aquascaping so easy. it did leach anything in my aquarium and no color loss in the rocks. We have used this rock for years and lots of success from it. I encourage all to try it !! We have been using this rock for years, the color fades as it ages and looks like the old school Fiji Rock from 15-20 years ago. My 120 G display looks amazing and I get comments on the rock almost daily. Great substitute for Natural rock!!! I have used this rock for some time now and whilst there were some bad reviews on the earlier versions, I can say that the 2.1 has been great! I filled a container with it and left it for a month to see if the phosphate issues were true, and could not detect any phosphates, high PH or other problems with the water. Excellent product that I will be using again in the future! I'm really getting annoyed with this rock. I've been knocking the PO4 down almost daily to find it back up again the next day. It has been at 0.20 - 0.50 and just not stopping. My tanks never run that high. My target is 0.05 and even with consistent Lanthanum Chloride treatments, I can't get it there because you have to go slow. Can't drop it more than 0.5 to 0.1 in a day. If I go 0.15 or higher... my anemones will deflate or walk. Save yourself the headaches. Get some Pukani or Marco rock. Was wondering if anybody has experienced high calsium with this product I can't seem to get it down have had it for 2months now and my calsium is still in the 550 range any suggestion on how to get calsium down have down 3 water changes in the last 2 weeks to no help .????? I bought this because of the 52 weeks series. "What a neat idea" I thought. I regret it mostly. It has been flaking off since I filled the tank, It doesn't really look all that good in person, and it doesn't appear to be all that porous. Some of the surfaces actually have so much paint on them that they are smooth. Wish I had gone with the Caribsea equivalent, or Real Reef Rock. I guess the only plus side for me is it's pest free. Now, if I find out it actually is leeching PO4, I'm gonna be P.Oed. 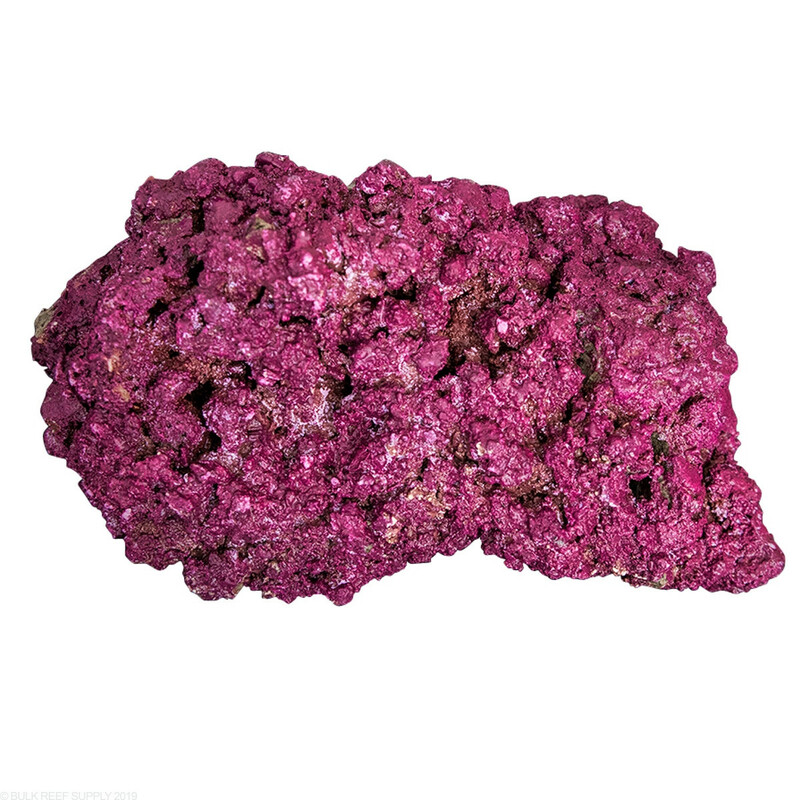 I have had other orders go smoothly, and I order a ton of bulk items for my coral farm. Bought a 25Kg box of this rock, and there were strands of what looked like monofilament everywhere, and I mean on every side of every rock. 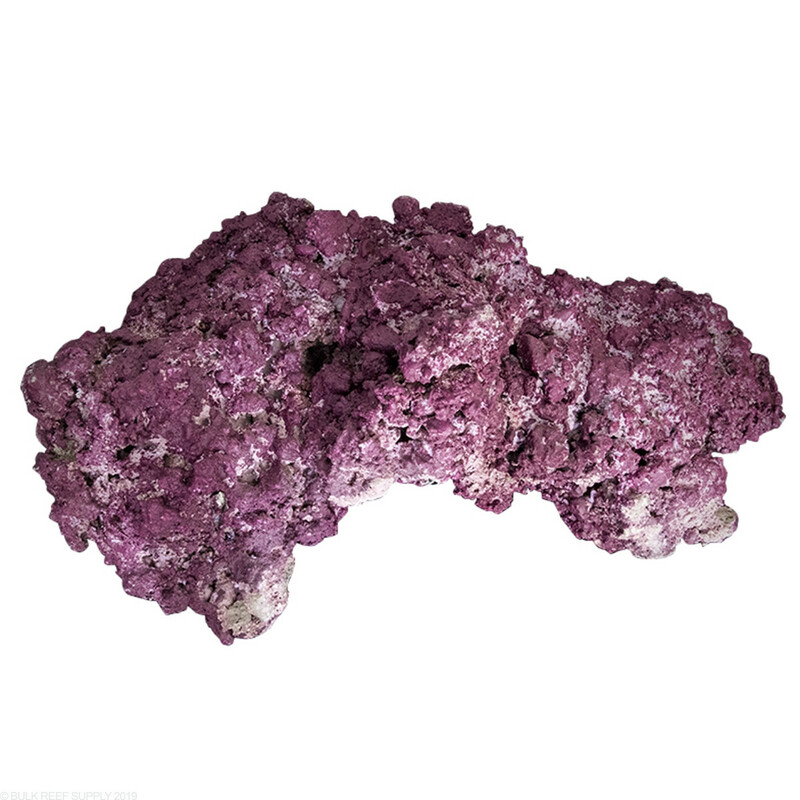 To add, my tank was full of purple flakes and bare spots on the rock. So in essence, I had streamers and confetti; not the party I was hoping for. The worst part is BRS's denial of a return, regardless of me paying shipping. The BRS reputation is turning sour. Good luck to the rest. i will not order again. Another follow up question - to Dave's question. After curing in your tank with only water and sand - is a water change needed after the curing is complete? It is recommended to perform a large water change or series of changes to remove nearly 100% of the water. The reason being is to remove nutrients before starting the cycle. Feel free to let us know if you have any further questions! OK who is this Walt Smith guy? I see his live rock advertised in so many places. Great question! Its a pretty interesting story! I have included the link below. 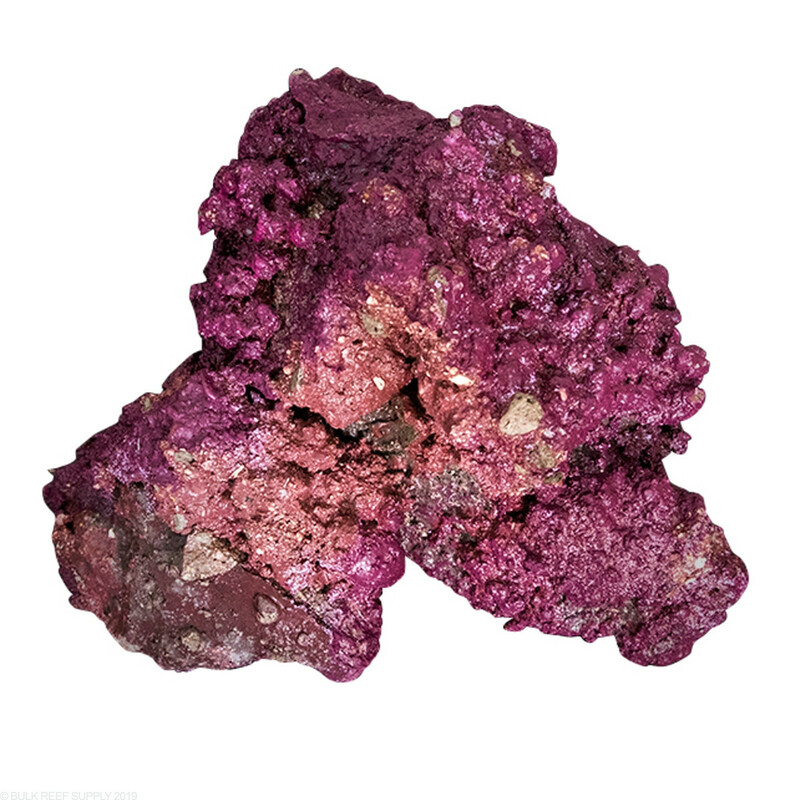 I am wondering if this needs to be cured, or if it is free of any contamination... is this even real rock or is it imitation Thanks. This rock is man made and hand painted to replicate coraline growth. The rock will still need to be cured however to ensure that the nitrifiying bacteria has time to appear on the rock. If placed directly into a system there is potential for algae growth on the rock if lights are on and a pH swing may occur. 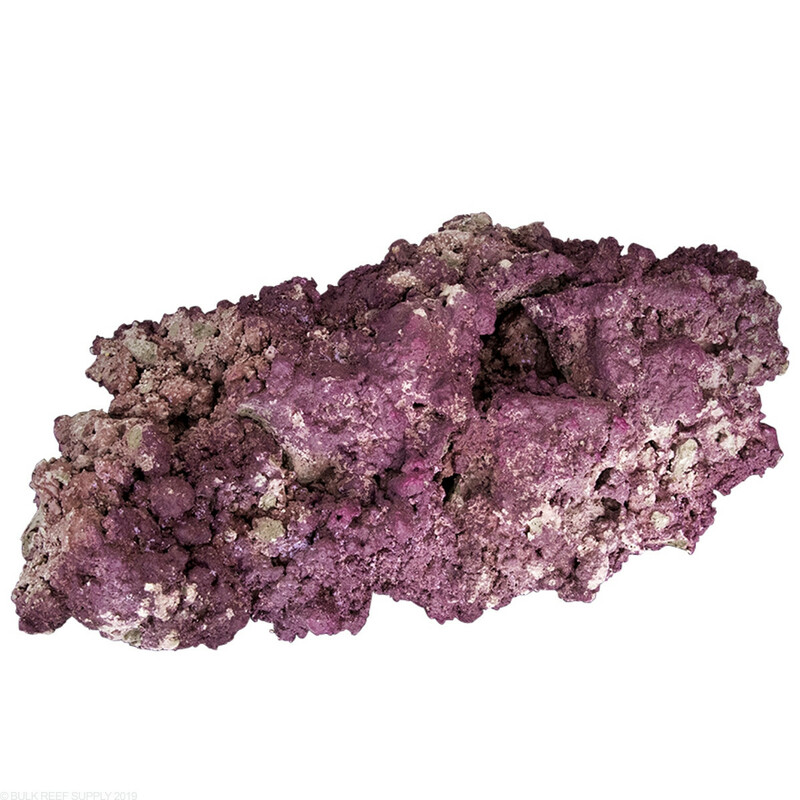 The description on this rock states that the purple color is throughout the rock but reviews seem to state otherwise. Which is it? This is essentially man made concrete rocks which are painted over. 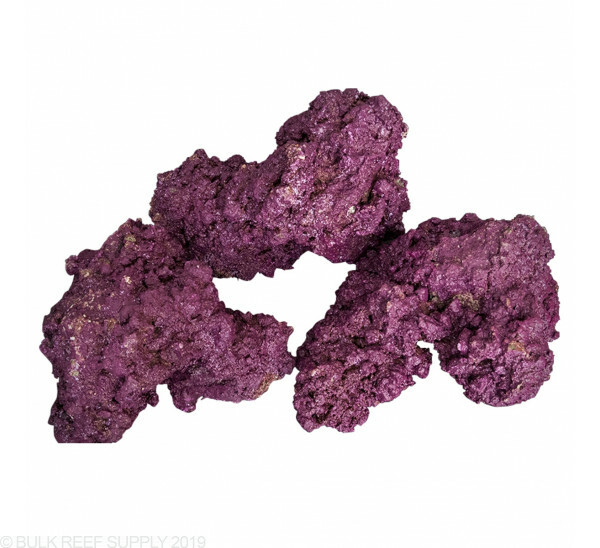 There certainly will not all be 100% purple covered however in our experience we have found this to be a great rock to aquascape with, and after a few months in the tank the rock is very natural! The same experience can be had with many other types of natural dry rock. Feel free to let us know if you have any further questions! As a follow up to Christopher's question, this rock would be going into a brand new setup. Right now there is just water and sand in the tank. Would you suggest keeping the lights off while the tanks cycles to minimize the potential algae growth you mentioned? We highly recommend keeping all lights off and the tank in a dark room with limited light penetration to reduce any possible algae growth which may occur with the excess nutrients. Feel free to let us know if you have any further questions! 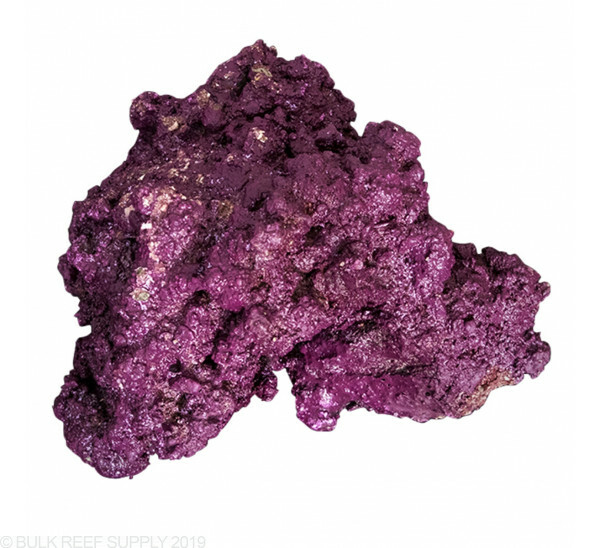 Can this type reef Saver 2.1 rock be shipped to Canada like the reef saver rock? What is the best way to cure this rock for a new set up? I am purchasing the Red Sea 650 in the next two months and wondering if I should get a head start with the rocks. Would just like to know what the best process would be and duration for curing. Hello Doug, this rock can be cured directly in your tank, or in a separate container. we usually just use 5 gallon buckets, or a brute trash can. You will want to throw in a heater and a powerhead with saltwater mixed to the right salinity. You will also want to add a food source for the bacteria to populate. Some common sources are ghost feeding (feeding as if there were one small fish in the water) or going to the deli and using a raw shrimp and putting it in nylons or some other kind of mesh bag for easy removal. It is definitely a great idea to start curing rock asap. As far as the duration that depends from tank to tank. You will want to test for ammonia, nitrites, and nitrates. You should see ammonia and nitrites spike and your rock is considered cured once ammonia and nitrites reach zero and there are readable nitrates in the water. At that point you will want to do a water change, but not before that. Hope this helps. Have a great day! Is there anyway I can but this rock by the individual pound? Because I only need 2 pounds of it. Unfortunately we are unable to split up the packages on the project reef rock. At this point a rock such as reef saver sold by the pound may be a better option! Feel free to let us know if you have any further questions! There seems to be a lot of confusion as to what exactly this 2.1 rock really is. 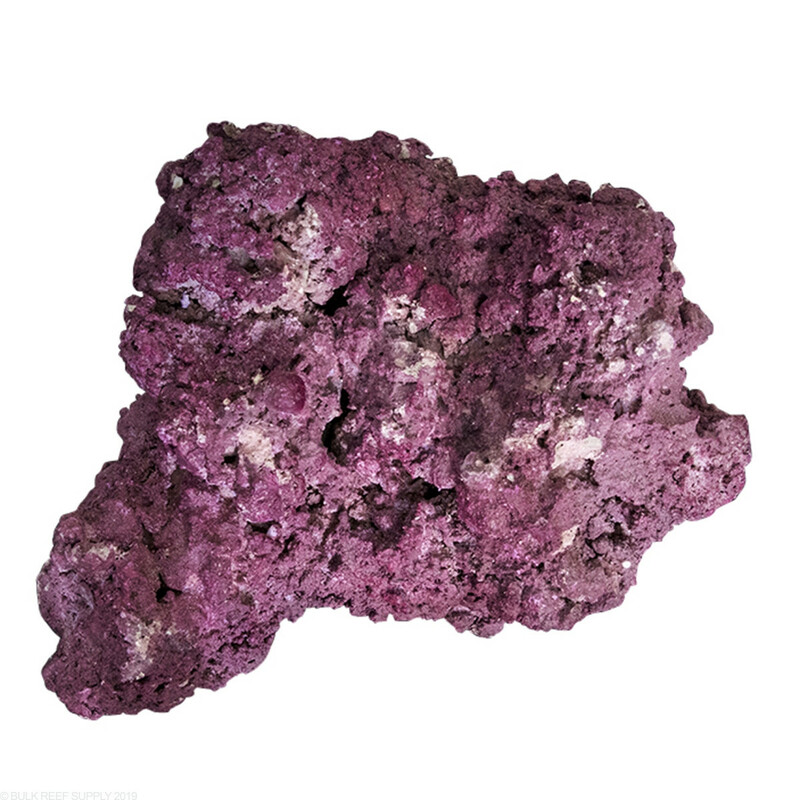 Your site states that it is covered with a thick purple paint - is that correct? 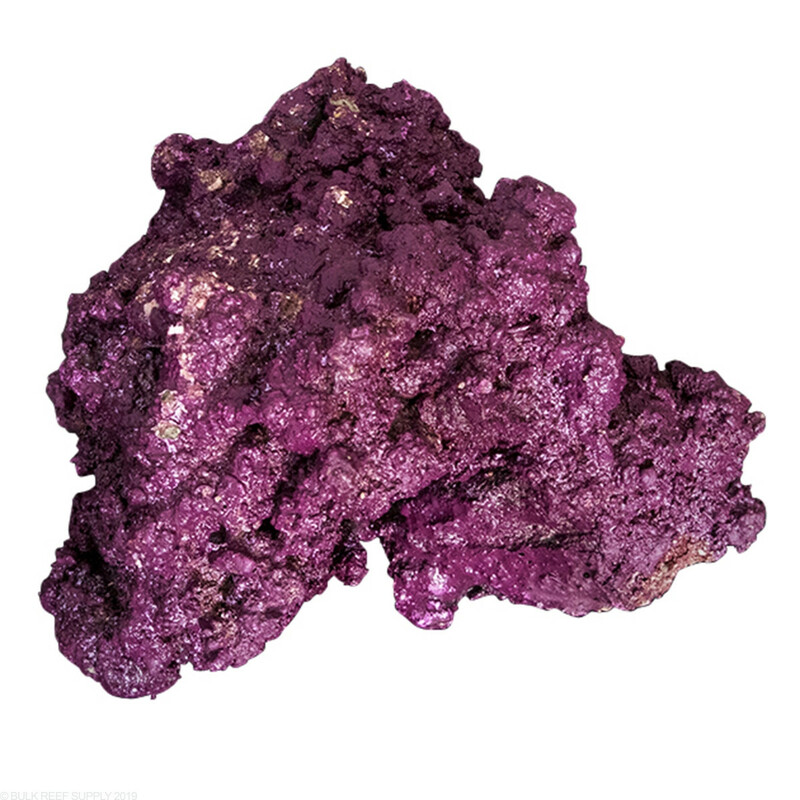 Is the rock solid purple through and through? 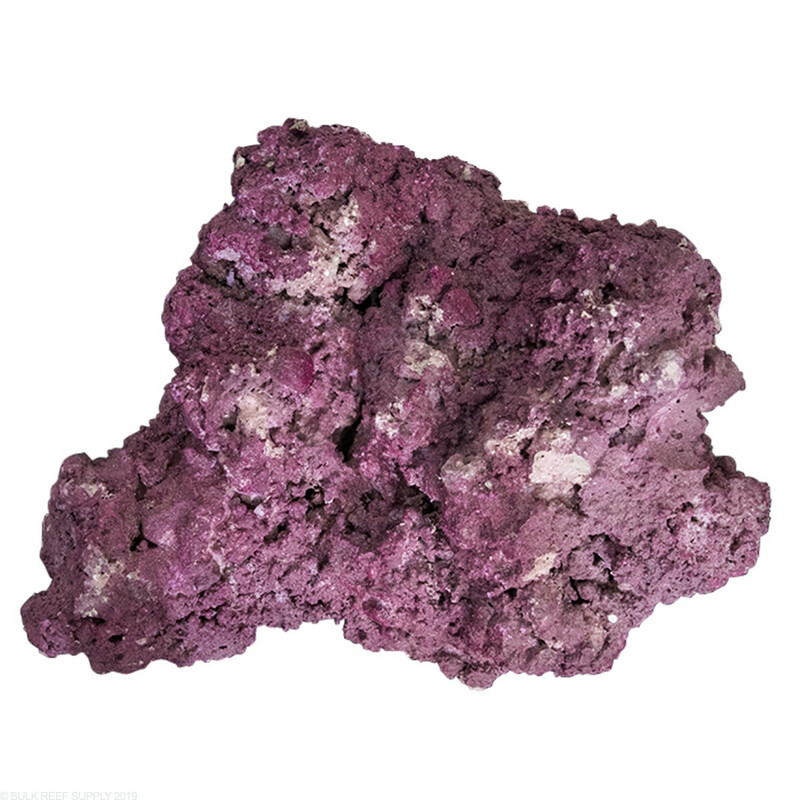 This rock is hand painted and while small sections may be left intentionally blank this rock is nearly 100% purple covered with varying shades. Feel free to let us know if you have any further questions. I need bigger pieces for my tank. Does the 55lb box have larger pieces in it than the 22&11lb boxes? For example would the weight of the largest piece in a 55lb box weigh more than the largest piece in a 22 or 11lb box? The 55lb box will not have larger pieces rather the same size but larger quantity. Overall the average size will be around a football. Feel free to let us know if you have any further questions!